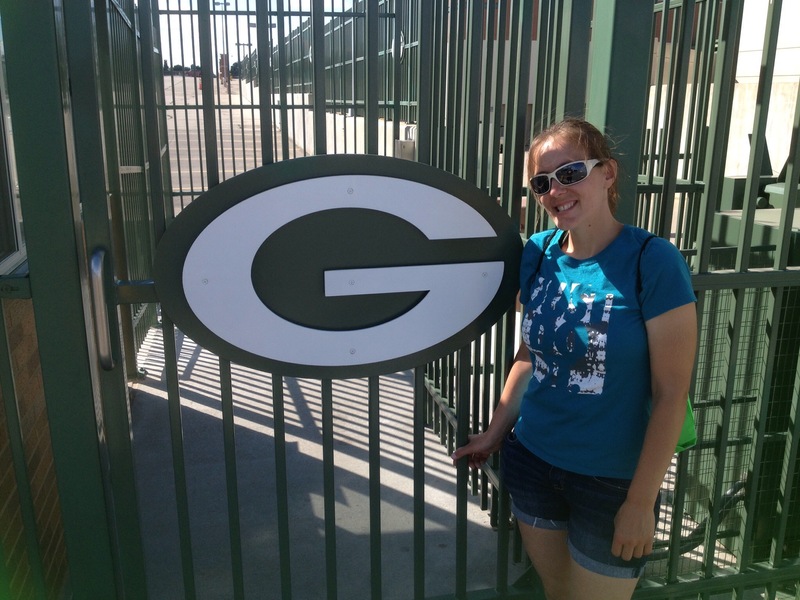 The girl who could barley finish a mile in 14 minutes in high school (yes… I know that was a long time ago… But still). I must admit I was pretty dang proud of this. 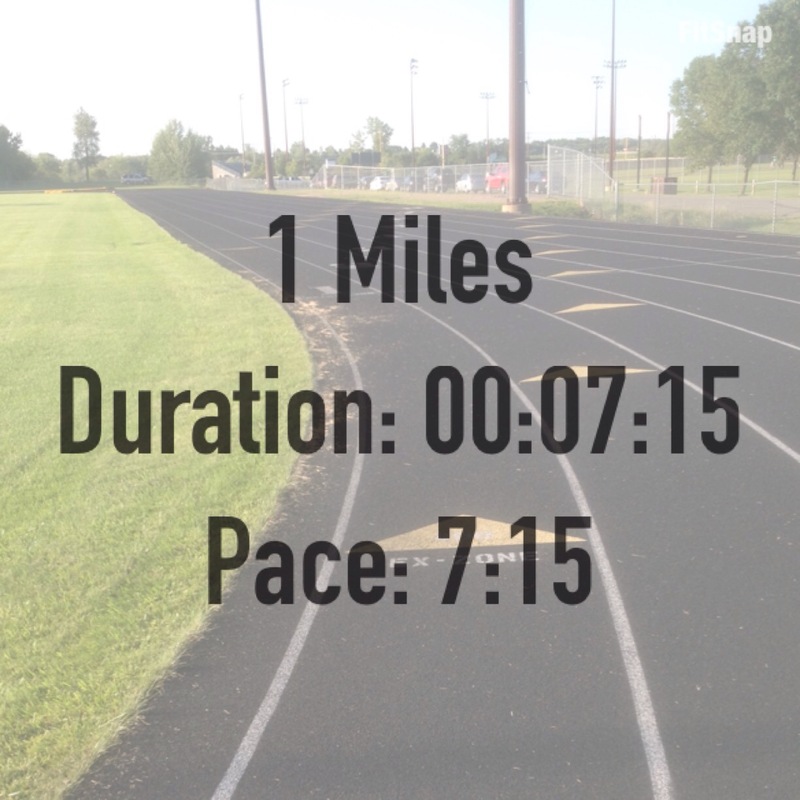 I don’t brag on myself much… But when I started running just like 4 years ago I couldn’t run even a mile. I literally couldn’t run like 30 seconds… So I am going to be proud of this. So there 😉 full disclosure I didn’t stop after this mile. I ran another 2. But not as fast. Second mile was 8:22 and the third mile 7:25. I am actually more proud of being able to knock out that third mile at that speed. Bottom line. Do NOT give up. And when your tired… Just keep going. It’s worth it. I promise. For me…The experience was more than I dreamed it would be. Just being there was incredible. 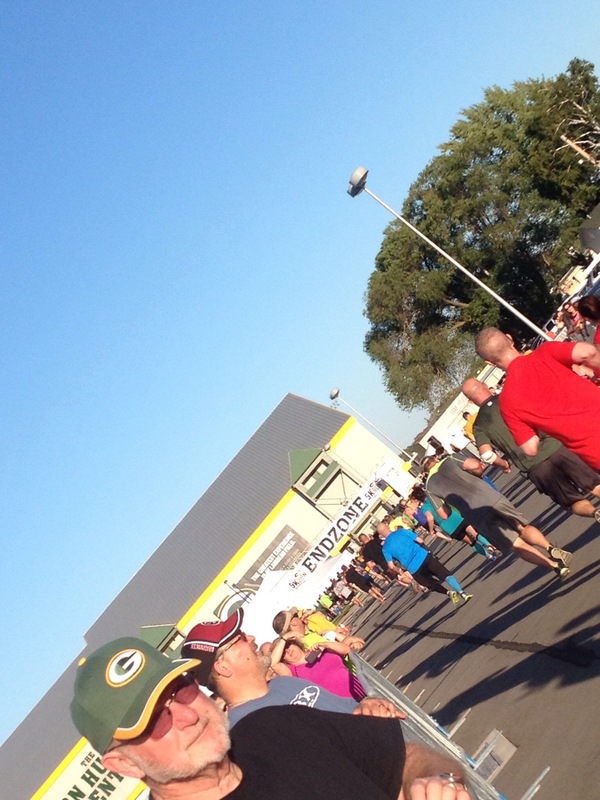 But the run was so well organized and FUN! Not going to lie I got a little emotional entering the players tunnel and as I made the lap around the field. 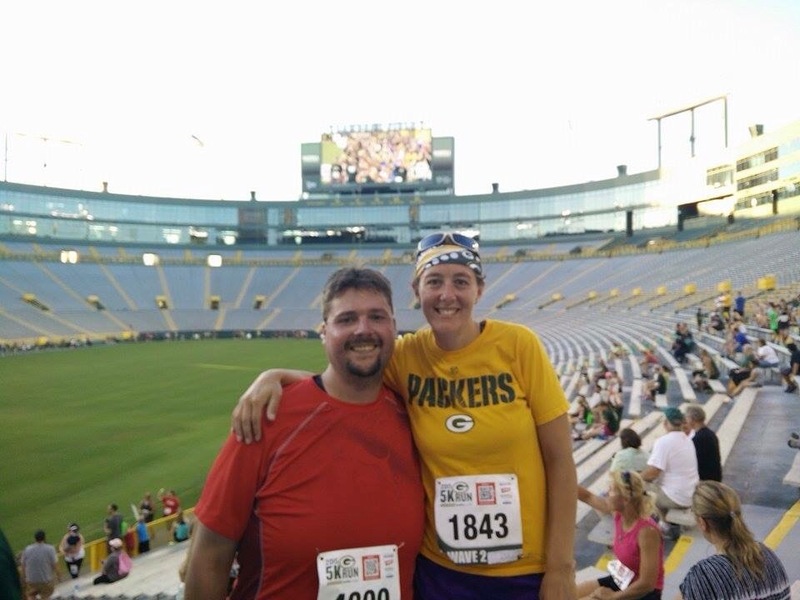 The coolest part of the whole run was seeing myself on the jumbotron as we ran around the inside of Lambeau! 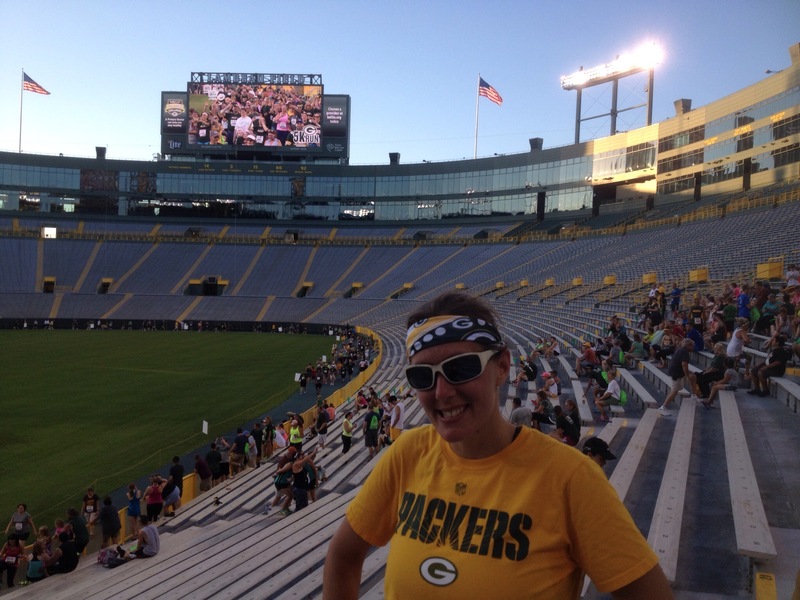 I couldn’t get a photo of me on the screen without really affecting my time (yeah.. I’m a little competitive now, and no it wasn’t my fastest…I didn’t expect it to be)… But here is a photo of me at Lambeau with the Jumbotron in the background. Soooooo cool! Was a beautiful day/trip that I will never forget! They say you know your a runner when you plan trips around running… Well I guess I’m a runner. What a great way to see the sights. 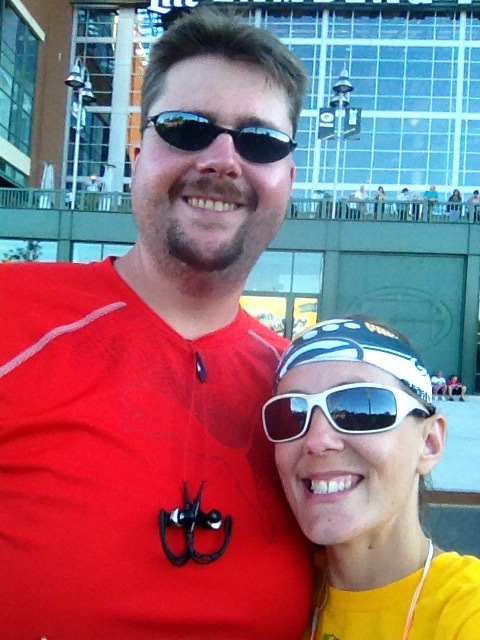 Wonder were our next running adventure will be….. Here are a few more photos from our trip… And of course technology is still fighting me and I can’t get all the photos I really want on here… But whatever. 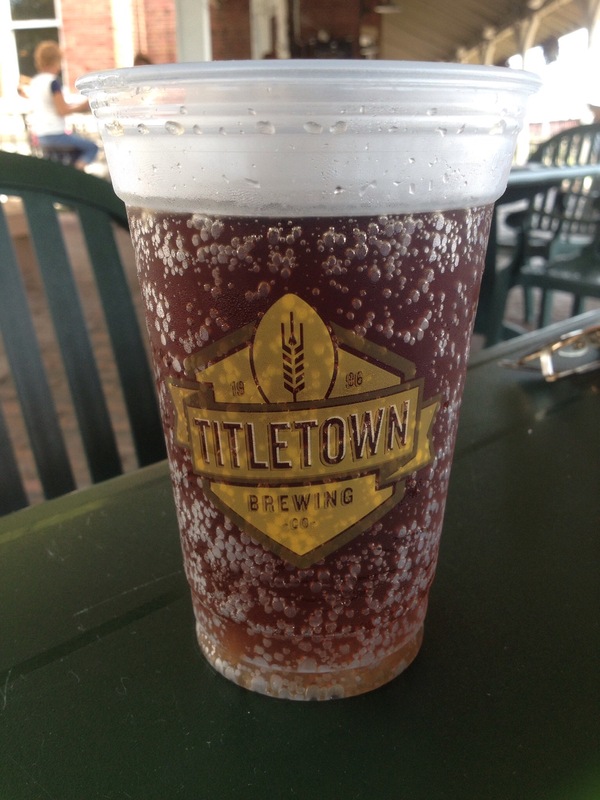 Seems only fitting to go to titletown brewing company! I had a delicious cream soda! We wanted to go to the hall of fame.. 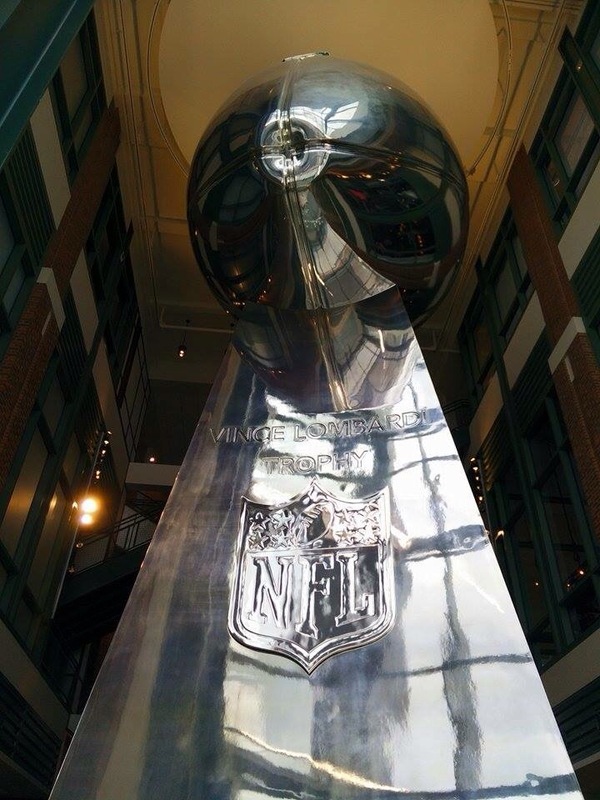 But it was closed… So took a photo of the giant Lombardi trophy! 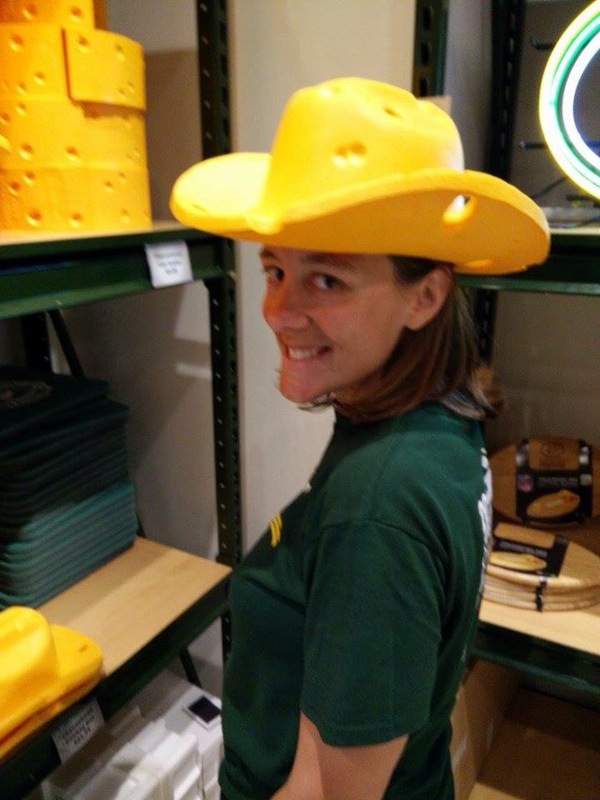 I am a cheese head and I know it…. 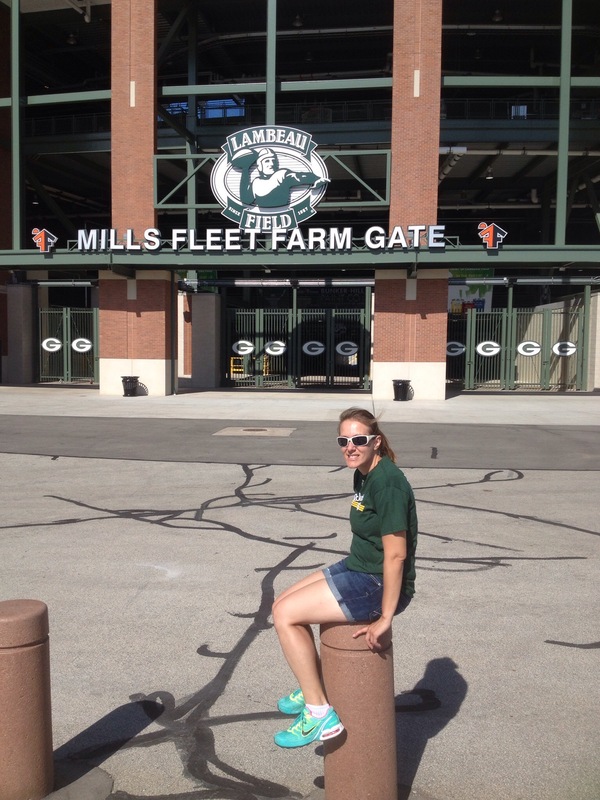 The finish line… Aka… The end zone! So yeah.. Pursue your dreams people! You never know what might be possible! Surround yourself with supportive people and never give up. Ever!